Home Best travel tips	Where to eat the best pizza in Naples, discovered by locals. Guide for the best pizza in Napoli. Write a proper guide of the best pizzeria in Naples is easy for locals. We come from Napoli, and we have eat thousand of pizzas and know almost all the pizzerias in Napoli. A complete Napoli pizza guide for people that like taste the place they are exploring. Few of our favourite spots for Pizza in Napoli. Not just the neapolitan pizza as you know, but even the best pizza fritta in Naples. A complete pizza itinerary into the narrow street of Napoli. Eat, Pray and love as the film with Julia Roberts in a tasty Pizza guide. Make a pizza is not easy, it is a piece of art. The preparation of the pizza dough has been handed down for generation. From pizza maker to another pizza maker, from fathers to sons. You can have a decent pizza in Naples, basically everywhere. It is the homeplace of the Pizza, so there is a Pizzeria every 100 mt. In this post we will give you a complete guide of the best pizza in Naples Italy. A selected range of the masterpiece of the typical italian product, well known all over the world. This is the list of our favourite pizza spots in Naples. It is selected direct by us and our experience. As always those are in our personal opinion the best pizzerias in Napoli. There are few areas of Napoli well known for great restaurants and pizzerias. For a splash in the tradition, and more typical pizza place, head to “Via dei Tribunali”, home of Master Pizzaioli. 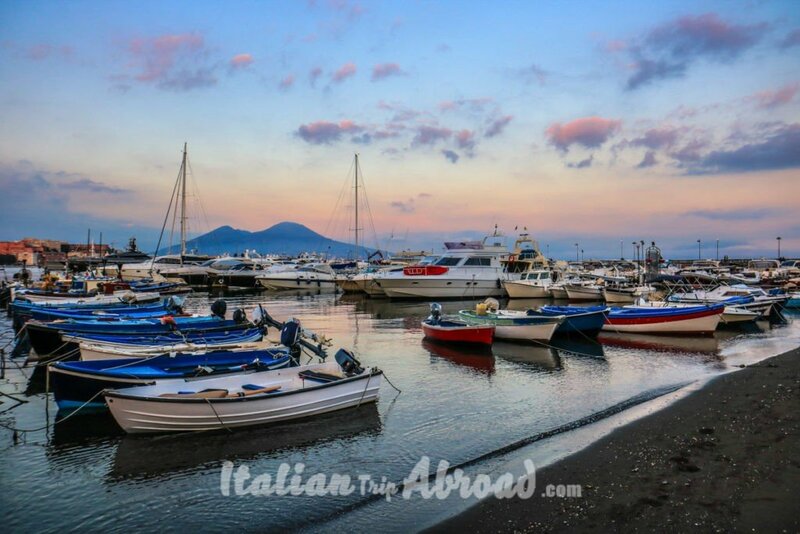 For a romantic pizza spot in Napoli, the seaside of “Via Partenope” is the best option. You will surprise your partner with an awesome landscape on the Goulf of Napoli. Few other great spots are inside one of the most popular place, the Quartieri, or well known as Spanish Quarter of Napoli. This is one of the videos made by our friends of 2 food trippers. We are coming from the home place of the Pizza, the first place where it became famous in the World. For that simple reason, we have born with an innate passion for pizzas and who better than us can rate it as well as possible? We will start this little culinary list of the best pizza in town, telling you a simple quote about the lifestyle of locals. Everyone knows that for making the best pizza, you need some incredible ingredients. But those are not for everyone, and not simply to find. The best pizza in Naples is made by artists. You need the best and organically ingredients, the passion for the pizza and the best skills to make it. It is one of the best pizzerias for the Michelin guide, the renowned guide describes 50 Kalò as the “trendy”. It is the quiet new pizzeria but is run by Ciro Salvo descendent of an older family of pizzaioli coming from Portici, the closest city. Its name is coming from the number 50 In the cabala or Smorfia in Naples, is the bread the main ingredient of the pizza. It is in Piazza San Nazzaro, close to the seaside and the nightclubs. Located in the heart of old town, in via dei Tribunali. One of the most iconic and old Pizzerias in Naples, located in the ancient narrow streets of Naples is known as one of the best pizza. Dal Presidente Pizzeria is an institution of the Pizza makers, not just in Naples, but in all Italy. It usually crowded and the people join in the queue for taste this pizza. You don’t need to attend a lot for entry and get your table, attending your turn take a piece of fries. We love the “frittatina” or “Crocchè”, and we suggest you take it. At least you will take more than one for sure. For feeling more local ask a “Panzarotto” its means “Crocchè” in the Neapolitan version. The Antica Pizzeria da Michele is one of the oldest one, still run by the opening family “The Condurro Family” and now they are at the 5th generation of pizza masters. Is located in the heart of Naples, just a few steps away from the main railway station “Piazza Garibaldi”. It is one of the best and delicious spots for many actor and actress, and showbiz people. It is defined by the expert like the “must delicious pizza in Naples” and “The sacred temple of Pizza“. Even if you are visiting Napoli for one day, you have to eat a pizze. Da Michele Naples is the best pizza in Naples Italy near the train Station. This family tradition was established by Michele Condurro, he believes in the way of the authentic quality of every pizza made with passion, where the other ingredients spoil the real taste of pizza. Become more famous thanks to the movie with Julia Roberts – Eat, pray and eat. So For that reason, it is possible to a choice between just two kinds of pizza, The Margherita (the original one, with tomato, mozzarella, basil salt and olive oil) and the Marinara (a basic tomato with garlic, oregano and olive oil). It is located in via dei Tribunali, in the heart of the old town and where the best pizza shops are located. The Pizzeria is on two floors, so don’t be scared of the long queue, leave your name at the entrance and wait to bite your favourite fries food, lovely here is the “frittatina and crocchè” but if you are lucky and hungry try the “panino Napoletano or arancino”. It is well known for its pizza to take away, where on the ground floor there is a big choice of “pizza a portfoglio” a kind of pizza small enough that you can handle and eat by the way. It is perhaps the first pizza makers in Naples, who give the name to the famous pizza in the World, The Margherita. This shop was opened in 1780 and the name was different than the one of today before it was “Pietro… e basta così” (Peter… and that’s it). The actually Brandi pizza place is definitely one of the oldest pizzerias in Naples. Since you entry into this shop, you can feel how they are proud of being the place which created the famed pizza margherita in 1889. This pizza born by the hand of Raffaele Esposito, the former owner of the pizzeria in 1889, when he personally made it and brought to the local Royal Palace of Capodimonte, to the Queen Margherita. It is located in a good area of Naples, it was featured in many movies of the golden age of Italian Cinema, like in the one “The gold of Naples” with Sofia Loren and Vittorio De Sica. It is continuing to serve one of the best pizza in the city and is brand of quality, authenticity and speed. From just one oven in this shop are going out almost 800 pizzas every day, made by just one wooden oven. The Pizzeria of Gino Sorbillo is one of our favourites. Run by the Sorbillo Brothers, it is now a Worldwide Brand. Counting shops everywhere, every year this company is open a new pizza place somewhere. New business with the same mindset and the same brand standards. It becomes one of the famed throughout Naples pizzeria. The main brother, the oldest one has appeared on Masterchef Italy and Australia as well. It is well known now as the pizza chef, due to his collaboration with high renowned Italian Chefs. All the ingredients topped on the pizza are locally sourced and of the top quality, personally selected from the best company around Naples. The Pizza of Sorbillo is made with the “Lievito Madre”, a kind of dough different. The dough is made by organic products and with different leaving and high preparation standards. This pizzeria offers a wide selection of pizzas in an innovative way, throughout the best ingredients on the market. This pizzeria is located in one of the folkloristic boroughs of Naples, in Forcella. Don’t be scared to get inside, despite the common thinking is self for the high concentration of the oldest shop and business in the area. It is specialized on fried pizza. It is the same kind of dough similar to the pizza but fulfilled of the ingredient you choice and then fried. The well-known ingredient could be salami, tomato and mozzarella, mushrooms, sausage and frierielli (broccoli rabe) or ricotta and prosciutto. You need to give a try. It is worthy of a takeaway lunch. Already the name evokes ancient epochs. It is located in the heart of the historic and lively Sanità borough. This is another family-owned pizzeria, like almost all the best pizzeria in Naples. 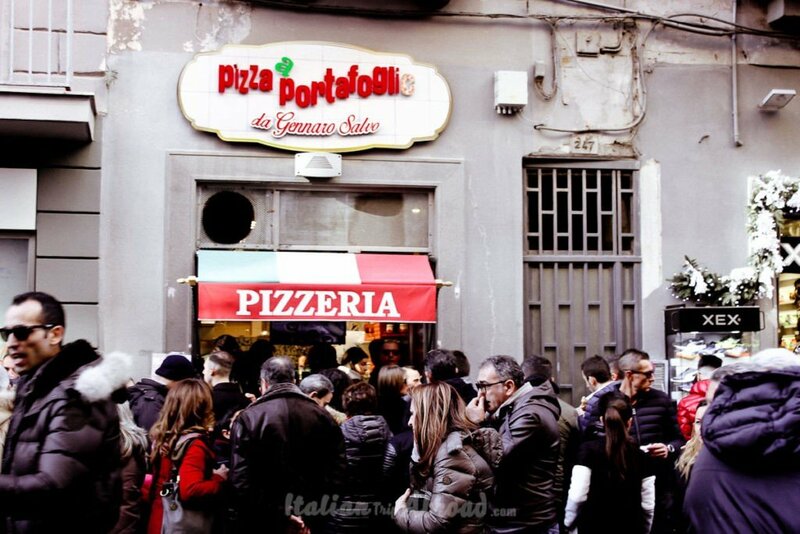 It is one of the most traditional pizzerias in the city, it is most famous for the fried pizza, well knew like pizza fritta. Give a try, it is one of the most liked by locals. Ciro Oliva is running this pizza place with passion and tradition, giving a fresh and modern taste and locals homemade products, with an innovative approach to an ancient product. Outside of Naples is full of pizzerias, but there are two on the top of the others. They are really proud to be outside of Naples and are well growing the areas where they are located. Pizzeria da Salvo is half part of the 50 Kalò family. A brand build up by two of three pizza makers brothers. It is well known in the region. It is located in San Giorgio a Cremano, just a neighbourhood of Naples. The philosophy behind this pizza is to apply the old traditional school with the research of new products. It is also one of the first to accomplish the pizza with the table finest wine. In this pizzeria, you can find an appropriate wine cart filled just of Wine from Campania. The people are travelling here from all over the world to visit the famous pizzeria in Caiazzo of Franco Pepe. It’s the dedication to using the best market and locals ingredients, to put the right temperature to his oven and the hand-made dough, place this pizzeria on the top of the list, even if it is not in Naples. This pizzeria opened in 2012 in an area sleepy and rural, changing it completely in a fine dishes area for fine diners across Italy and the World. There is a lot of kind topping pizzas on the menu, and it is growing with fine research of locals fine and organically ingredients. All is controlled by the beginning, From the dough to the oven temperature. Going through the texture of the pizza and the service to the table. See Pepe in Grani description by best Italian chefs. This is our lifestyle, we eat pizza always, and our pizzerias are open till late, obviously, we don’t eat pizza at breakfast, but since 10 o’clock in the morning, you find different kinds of pizza, from the classic one to the “calzone” a full fill dough of pizza. The Michelin guide for 2018 give to Naples all the place on the top of the competition for the best pizzerias in Italy. This list can give to you the right idea about what does mean pizza for the locals. It is an art and needs to be preserved. Everyone is going to Naples or is planning to go to our city, to us “which is the best pizzeria in Naples?” or “Which is the best pizza in Naples?”. Even those common question we have sorted a few others like “Can I find the Pineapple pizza in Naples?”. For the last question, we will answer as soon, just watching this video made by “The Jackal”. How do they make the best pizza in the World? Pizza is perhaps one of the best known Italian dishes in the World, and it is made well in Naples, the World Capital of pizza. It is made with such as traditional and cheap ingredients, who give to it not only an amazing taste but its also cheap. The pizzas are made with simple flavour and water, a dash of salt and “Lievito” with cheese, tomato and basil. The main and best way to heat up the pizza is in a traditional wooden oven, made of bricks, it gives to the pizza an extraordinary taste. Which city in Italy has the best pizza? Certainly, if you are reading this post, you already know the correct answer. Naples is well known all over the world as the best place for Pizza. It is not a triteness, but everywhere we have explored, we have noticed a Pizzeria. Just when you spot a Neapolitan Pizzeria, you will trust in that brand. Some of the Pizza places around the World, request specific products from Napoli, trying to emulate the same dough. Best Pizzeria in Naples Italy? Find the best pizza spot in Naples is easy, but follow the smell and understand your taste. There are hundreds of Pizzeria, and everyone has a different way. Even if the way will seem pretty the same, there are variations in the preparation. The oven temperature, the quantity in the dough, amount of water and others can change the taste. It will be crispy or soft, and it depends on you. 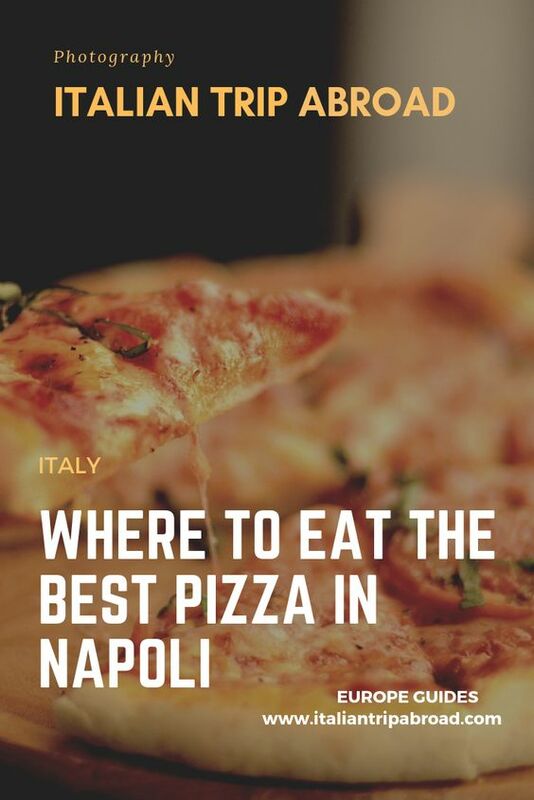 Like you can see Naples is the home of Pizza and there are many places where you can eat the best one. Give a try to all of them, it is really good for your health. The Neapolitan art of pizza twirling has joined Unesco’s list of “intangible heritage” (See the news of the Guardian ). We have the same feeling don’t worry. You should go, especially now with the nice and hot weather, amazing street food and pizza of course. My partner is Neapolitan and he can’t stop talking about the pizza in Napoli. I guess I will have to try it sometime! Thx! You have to, think about that, we are both from Napoli so everytime we are talking about Pizza and nice food. I love the pizza in Naples, really can’t beat it, no surprise given how seriously they take their pizza! I love the focus on good quality ingredients and then the adherence to strict rules about how the pizza is made! Thanks for the list of places you recommend, I would be happy to try all of them, though I really like the idea of visiting one of the old school like Antica da Michelle, Brandi or dal Presidente, plus a newer one like 50 Kalo. Yes it is true, in Napoli all the people are really proud about pizza! We love it! What a fantastic list! I have enjoyed pizza in Naples and it was a mind-blowing experience – but you give me lots more places I want to try. The videos are great and add a lot to your post. Thanks for sharing such a great list. I will be in Naples in a few weeks and hope to check out a few of these local spots. We are italian and we know Napoli so well. We have eaten in almost all the locals you mentioned and we can assure that here there is the best pizza in the world. Without any doubt!! Italy had me spoilt for Pizza. 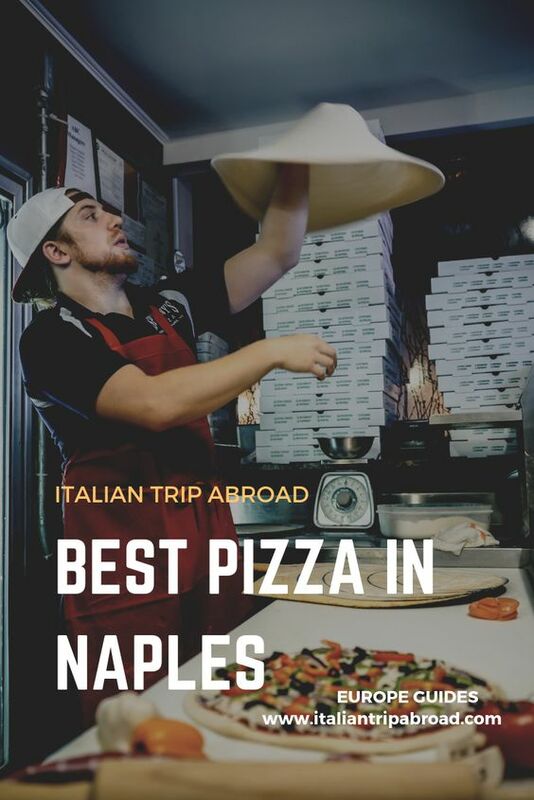 I took a special trip to Naples just to eat all the pizza I could and I am glad I’ve tried most of the places on this list, including the unique concept of Fried Pizza. However, my favorite was at the oldest pizzeria in Naples- Antica Pizzeria Port’Alba. It’s my best pizza memory! Well it is true what the people say, for best pizza in Italy you need to go to Napoli, i remember one time during my trip to Verona i do believe and we had the worst pizza experience there, so a new trip to the heart of pizza is in order to change something that was bad to something amazing. Yep, it is true in north Italy is not common to get the best pizza. Try to visit Naples as you can, it will change the perception of the pizza taste in your mind. We feel hungry every time we are looking at those pics.